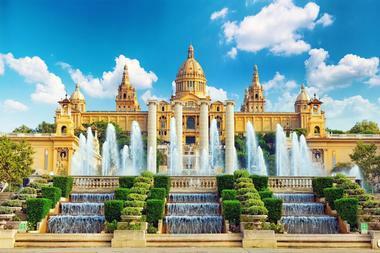 Barcelona is a cosmopolitan seaside city that is as dreamy as it is sunny. Situated in northern Spain along the Mediterranean, it's the ideal place to unwind on the white sands of Barceloneta Beach, or to stretch out in the grass and people-watch at Placa de Catalunya. 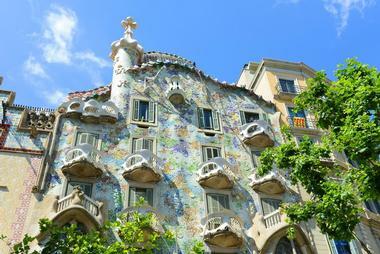 Cultural landmarks like Barcelona Cathedral and Palau de la Musica remind visitors of the city's long heritage. The magic of the city can be attributed, in large part, to renowned Catalan modernist architect Antoni Gaudi, whose mark has been left across Barcelona. 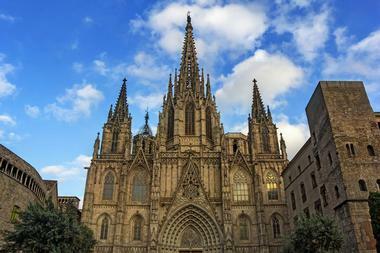 This striking Gothic cathedral was built in 1298 where a Romanesque temple once sat. Its expansive construction has taken more than 150 years, built in three stages. The main exterior was completed in the later years of the 19th century and the almost 300-foot high cimborrio was finished in 1913. In 1969 the altar was adapted, archives were renovated, and illuminations were installed, while that year also saw the cleaning of the blackened domes. Within this stunning cathedral, visitors will be able to see an array of Gothic art and baroque altarpieces, its choir and baptistery, and the burial place of Saint Eulalia. 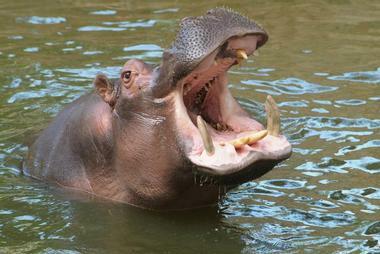 The Barcelona Zoo is one of the oldest in existence, having opened in 1892. The expansive grounds are home to many unique creatures, including five animal species from the Asia-Pacific, such as the Komodo dragon in their Land of the Dragons exhibit. The Terrarium is a reptile and amphibian house showcasing several European species, and the Aviarium is an aviary house with more than 70 bird species. Their Aquarama has California sea lions on display, while the Primates Gallery features various monkey species; they even have a live garden that exhibits Barcelona's native living flora and fauna. A farm, gorilla area, flight dome, and the Marmosets Gallery can also be found at this zoo. Barceloneta Beach is one of Barcelona's oldest and most beloved beaches, nestled in the city's traditional fishing district. Visitors will enjoy basking in the sun on this white sand beach overlooking the beautiful Mediterranean Sea, but that is not all that can be experienced here. It features sand volleyball and tennis courts as well as ping pong and gymnastics areas for those who love to stay active. 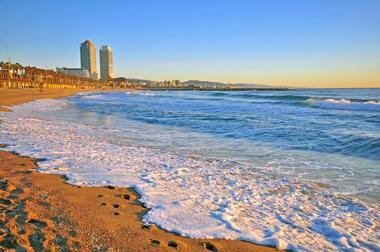 Barceloneta Beach is also popular for its various restaurants offering delicious seafood dishes and tapas. At this neighborhood beach, the guests will find sun loungers, umbrellas, sports facilities, ice cream kiosks, and a children's game area. Barri Gòtic was once the center of this Roman city, originally marked by the convergence of the two primary streets of Decumanus and Cardo; today, the Carrer Llibeteria and Carrer del Bisbe meet here. 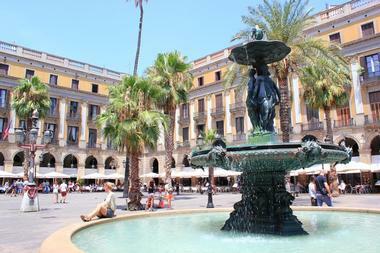 This square is made up of narrow streets where beauty and history are seen from every angle. 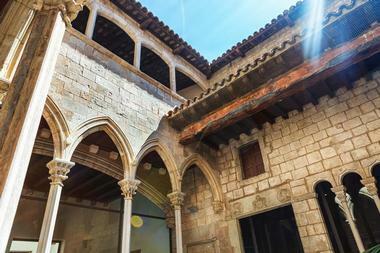 The Placa del Rei flaunts the architectural splendor of the Catalan-Argonese monarchs; royal residences and the remains of the Roman temple of Augustus can be seen close by. 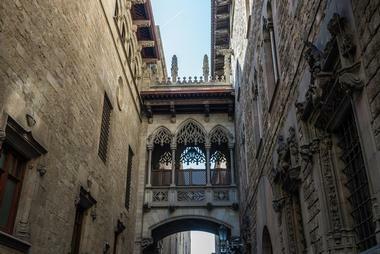 City Hall, Gothic churches, the cathedral, the old Jewish Quarter, and the Palau de la Generalitat can also be found within this quarter, among other historic highlights. Casa Batlló is a modernist house of magical proportions designed by renowned architect Antoni Gaudi; many believe this was his grand masterpiece. This architecturally innovative building reflects the beauty of a calm sea, offering guests a delightful journey from the past to the early 20th century. The tour utilizes augmented reality via smartphones to guide guests from floor to floor, beginning on the Noble Floor, the previous residence of the Batlló family. It will then take them to the attic, before heading to the rooftop terrace, featuring its legendary chimneys. The journey is completed with a visit to the entrance hall and main staircase. Casa Mila is better known as La Pedrera, which in English means the stone quarry. It got its name from its likeness to a quarry. Built from 1906 to 1912 by renowned architect Antoni Gaudi, this iconic structure is known as one of his most ambitious projects. It has received astounding acclaim and was listed as a UNESCO World Heritage site in 1984 for its value to heritage and art. 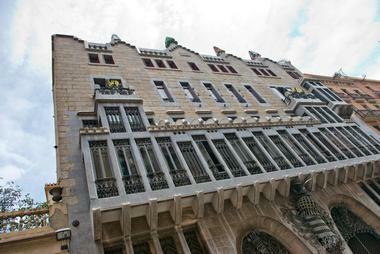 This Catalan art nouveau-styled building features a cultural center that showcases outstanding art exhibitions and various artistic shows throughout the year. They also foster healthy debates and provide lectures on both present and future issues. 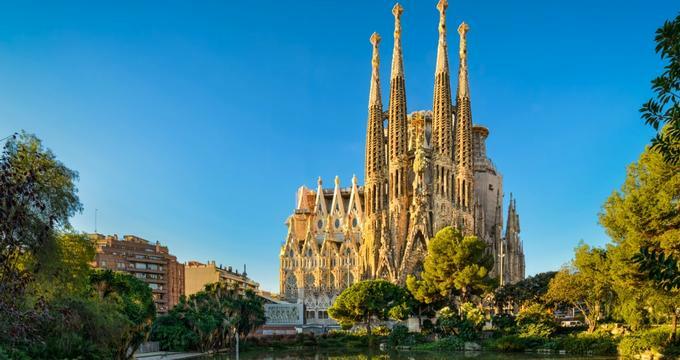 Excursions Barcelona is an exceptional tour company featuring an international team of expert guides that take their guests on various trips throughout Catalonia, Barcelona, and Costa Brava. They offer a variety of tour packages, including kayaking and snorkeling in Costa Brava, bicycling throughout Barcelona, or sailing along the Mediterranean. They even offer a free walking tour in the Gothic Quarter, where they lead visitors through these narrow streets uncovering the more than 2,000 years of history that resides there. In addition to their predetermined packages, they also offer custom packages that let the guests invent a tour itinerary all their own. Placa de Catalunya is a circular plaza in the center of Barcelona, a focal point for many travelers as it's also a main transportation hub. It features several grassy areas, stunning sculptures, and trickling fountains that offer a little oasis in the heart of this concrete jungle. Often there are fiestas happening within Placa where musical performances will take place as onlookers dance along to the beat. Several department stores surround the plaza, including FNAC, Habitat, and El Corte Ingles. Just across from this outdoor oasis is popular Café Zurich, a great place to stop in for a quick bite before heading off to explore. Free Walking Tours Barcelona is an eco-friendly tourism group that utilizes social responsibility as a way to give back to their city while entertaining and educating visitors on their tours. This 2 to 2.5-hour tour can be delivered in three languages; Spanish, English, and Italian, and begins at Paca Catalunya. Guests will be guided throughout the Gothic Quarter, where they will be regaled with tales of its rich history, from stories of African invaders and Jewish traders to the kings, queens, and artists who shaped the city. These expert guides also give visitors the current inside scoop along the way, including where to eat, drink, and catch live music. The Fundació Joan Miró was established by Miró himself in order to display works from his private collection and foster contemporary art research in the center of Barcelona. Since its opening in 1975, it has become a vital center for his works and those of other innovative contemporary artists. 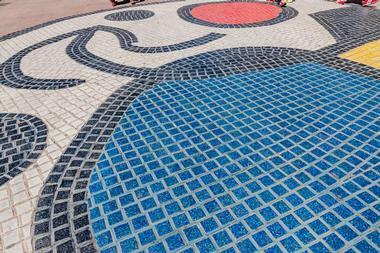 Visitors will also get insight into Joan Miró's life and art through his landscapes. Throughout each year, Fundació arranges temporary showings of 20th and 21st-century artworks from various artists and organizes, academic projects, and activities, in participation with other organizations and institutions. Guests can also join guided tours of his art and the Fundació's architecture. La Boqueria began as a traveling open-air market outside of the gates of the old city wall known as Pla de la Boqueria, a place where local farmers and traders would sell their fruits and vegetables. These types of markets were often set up outside the city walls because they were too large, and were created to attract as many passersby as possible. Today, this market has grown much larger and now resides in an enclosed space that features a wide variety of stalls offering goods and services. These include charcuterie, meat, poultry game and eggs, seafood, ready meals, and dry fruits. 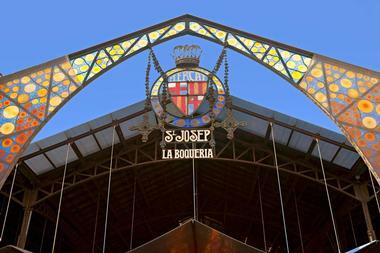 CNN named La Boqueria best market in the world. La Rambla is the main boulevard that cuts through the center of Barcelona and is a lively and spirited promenade that draws in the masses daily. 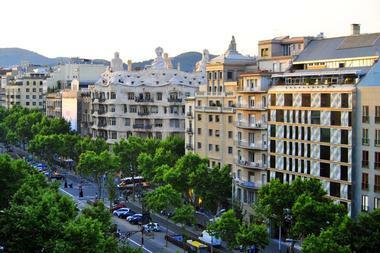 At just under a mile in length, its southernmost point is Port Vell and the northernmost point is Placa Catalunya. Human statue art and live performances are the most notable aspects to this area, such as the human statue Galileo and the White Painter. Visitors will even find a few caricature artists along the way who will be happy to draw them. More prominent attractions such as the Christopher Columbus monument, the Erotica Museum, and modernist Boqueria Market can also be found here. 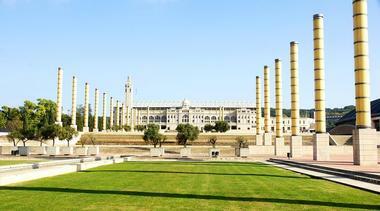 Parc de Montjuïc is a cultural epicenter that is most famous for hosting the 1929 International Exhibition and the 1992 Olympic Games. 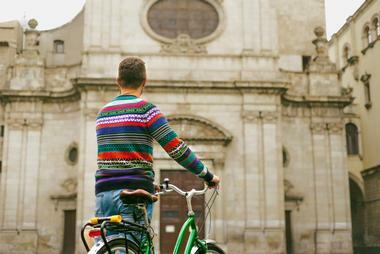 These two notable events helped shape this prominent zone in Barcelona. Visitors to this area will find a variety of extraordinary museums including the Fundacio Miro, the Museu Etnologic, and the Museu d'Arqueologia among others. The Magic Fountain with an artisan village is another must-see attraction in this area as well as the Olympic Ring, which was the center site of the Olympic Games. To top it off, this artist community also features the lovely and tranquil Botanical Gardens. 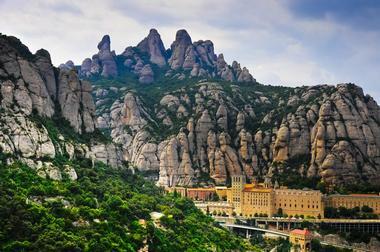 The Montserrat Mountain Monastery is a Benedictine monk mountain sanctuary just an hour northwest of Barcelona traveling by train. While this is a monastery of considerable religious importance, it is also known for the breathtaking natural beauty that surrounds it. Visitors will have the opportunity to learn about the holy grotto that was said to be visited by the Virgin Mary. Guests are also welcome to listen to the Montserrat Boys Choir perform Gregorian chants as well as other religious choral music. Nature lovers will find an array of walking paths throughout the mountain range where they can view all of Catalonia as well as astonishing rock formations. The Museu Picasso gives visitors an inside look into the life of Pablo Picasso and his intense relationship with the city of Barcelona. Guests will be taken on a journey through his life via 4,151 pieces of his artwork from adolescence through his adult years. Since opening in 1963, this museum has housed and showcased a multitude of his great works, including pieces from his Blue Period, the important works he created in 1917, and his Las Meninas series. Guided tours are available in Catalan, Spanish, and English daily, providing visitors with an intimate look into the life of one of the world's most remarkable artists. 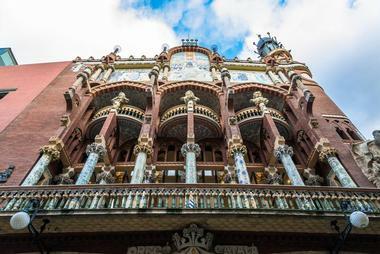 The Palau de la Musica is an enchanting concert venue built between 1905 and 1908 in the Catalan art nouveau style by renowned architect Lluís Domènech I Montaner. This architectural gem and cultural space focuses on fostering music with an emphasis on choral singing. Their musical performances are meant as a tool to distribute knowledge of cultural heritage and bolster social cohesion. They feature several concerts throughout each year and showcase a series of exhibitions in various areas of Palau that detail the history of Catalan choir music. These include Maria Canals and her passion for the piano, as well as Richard Strauss, a world-famous conductor. Palau Güell is an art nouveau-style home that was built between 1886 and 1890 by renowned architect Antoni Gaudi for Eusebi Güell, who wanted a unique urban mansion to expand the family home that already resided on La Rambla. Guests are welcome to tour this incredible space in a visually interactive way, perusing the main floor, central hall, roof, coach house and former stable, and bedrooms. They also feature a permanent exhibition of the original furniture that once decorated this palatial home. Visitors can choose to tour the home on their own using an audio guide or take a guided tour where experts divulge the secrets of the Palau. 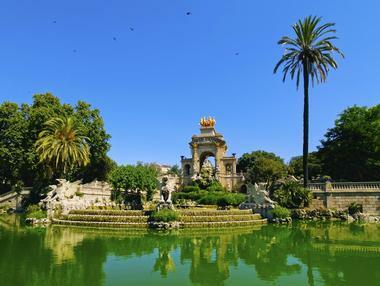 Parc de la Ciutadella is a whopping 44-acre park in central Barcelona built by architect Josep Fontsere in 1888 for the Universal Exhibition, a world fair. This urban oasis still exhibits relics from that period, including buildings like the Castell dels Tres Dragons. Visitors will be enthralled by the lake and waterfall that was designed by Fontsere as well as the magnificent plant house. They will also find a glass home, the Catalan Parliament, and a larger than life mammoth statue as well as a bandstand on the grounds. In addition, guests can see a replica of the stunning El Desconsol (distress) sculpture designed by Josep Llimona. In 1900, Eusebi Guell commissioned renowned architect Antoni Gaudi to begin designing and building a modernist estate for wealthy families in the Muntanya Pelada zone. Its location was the biggest draw, with stunning natural grounds that provided breathtaking views of the Mediterranean Sea. 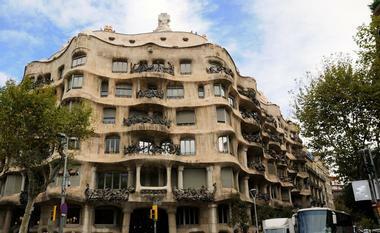 Gaudi was allowed to build 60 triangular estates but only ended up completing two as the sales of the plots undersold. By 1922 it was opened as a municipal park before eventually opening in 1963 as an artistic monument and public park. Today, guests can take a 1-hour guided tour through this iconic park, exploring how Gaudi blended architecture, sustainability, harmony, and nature. 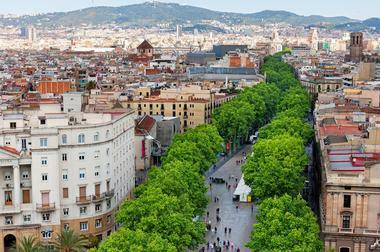 Passeig de Gràcia is a large shopping street in the heart of Barcelona that features everything from high-end, exclusive shops to affordable, hidden gems. While walking along this fashion mecca, guests will also enjoy stunning modernist architecture as they move from one store to the next. Shoppers who prefer the more exclusive collections can find powerhouse designers like Stella McCartney, Valentino, Prada, Louis Vuitton, and Santa Eulalia. Those who want to stay affordably chic will delight in shops like MAX&co - for the urban yet elegant woman - Hoss Intropia, and TCN. Visitors on a budget can find what they're looking for at Puma, Mango, and Zara. Adn Galeria is a trendy Barcelona art gallery that was originally opened in 2003, striving to create a hybrid space for commercial and independent works focusing on current artistic trends. The gallery offers 800 square meters of exhibition space, open to the public Mondays through Saturdays during the morning and afternoon hours. Artists represented include Carlos Aires, Virginie Barré, Mounir Fatmi, Núria Güell, Federico Solmi, and Pep Vidal, with exhibitions rotated every several months. Collaborative exhibitions and works are also showcased periodically, with photographic retrospective volumes published in connection with some exhibits. The gallery's artists are also frequently represented at international art fairs, including top events in New York, London, and Madrid. Blai 9 is an upscale modern bar in Barcelona's Poble Sec neighborhood, serving up a variety of creative pintxo bar snacks, crafted from traditional Mediterranean ingredients and served on sticks. Bar snacks and canapés eschew classic bread slices in favor of bases such as crepes, croquettes, blinis, and churros, with kebab and nacho snacks also available. Per-snack price is low, allowing visitors to sample a wide variety of snacks at each dining experience. A full menu of traditional Mediterranean tapas is also served, along with pancake and Italian piadina dishes served at brunch. Beer, wine, and sangria are served daily, along with cocktails and fine liquors such as vermouth. The Sagrada Familia is a religious temple and piece of architectural genius designed by iconic architect Antoni Gaudi, which boasts a Gothic style that was modified to create a new architecture, making this temple completely one-of-a-kind. 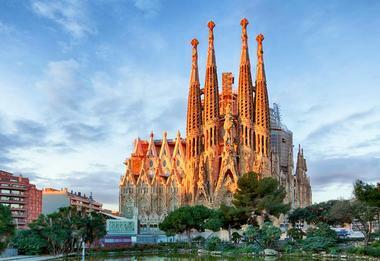 This extraordinary place of worship features a church in the center surrounded by monumental facades. It is made of four domed structures and 18 towers, the highest one reaching over 560 feet, representing Jesus Christ. Guests can choose to take a self-guided audio or docent-led tour throughout the basilica, museum, and school to learn about the complex architecture, interior, facades, and history of the Sagrada Família. 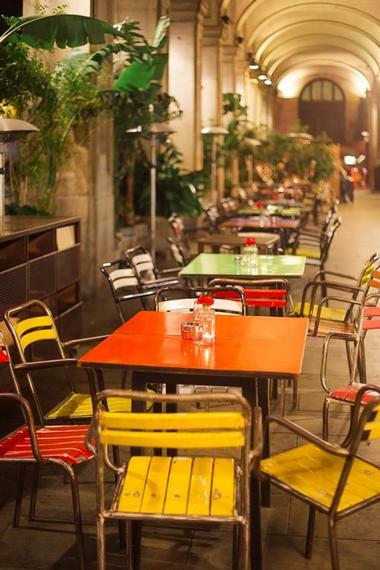 Ocaña is a hip Barcelona bar, restaurant, and lounge named for LGBT activist, artist, and anarchist José Pérez Ocaña, a prominent figure within the city's Rambla and Plaça Reial districts in the mid-20th century. An all-hours cafe serves up traditional Spanish tapas, coffees, and cocktails, while the Ocaña DF restaurant features an extensive menu of Mexican and Peruvian cuisine, including land and sea entrees, sandwiches, and desserts. Beautiful decor within both restaurants showcases the work of French artist Gérard Zlotykamien and Mexican artist Humberto Spindola. Downstairs, the Apotheke cocktail bar serves delicious mezcal and tequila concoctions, while the Bar Club Ocaña lounge provides an intimate gathering space. 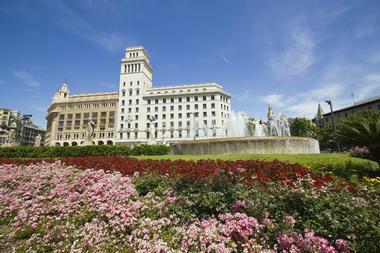 Placa Espanya is a majestic plaza just outside Barcelona, where Palau Nacional Art de Catalunya, a Catalan arts museum, also resides. This regal museum alongside Montjuic, fronted by the Magic Fountain, which features awe-inspiring water, music, and light show performances nightly. Visitors will also find that Barcelona's old bull-fighting arena next to the plaza has now been converted to a commercial center known as Las Arena de Barcelona. As guests walk further into the plaza, they will come across the architectural gem Mies Van de Rohe, built in 1929, as well as Poble Espanyol, a pavilion built for the world's fair that same year. Spanish Civil War tours are offered throughout Barcelona in order to educate visitors and explore the important sites within the city during the Civil War. This 4-hour tour covers topics such as George Orwell, anarchism, and what the realities of daily bombings were for the people and city. It gives visitors an in-depth chronological look into the highs and lows of the war, including the failed military coup in 1936 and the overtaking of Franco's forces in 1939. Several of the war's turning points took place in this part of the city, such as the final defeat of the rebellion. 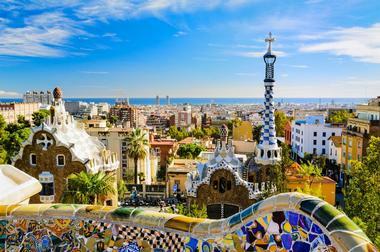 Food Lover Tour takes guests throughout Barcelona to enjoy Spanish culinary delights. Their tours feature everything from tapas by Michelin-starred chefs to paella at a football match. They feature seven custom tours tailored to every type of gastronomy lover out there. 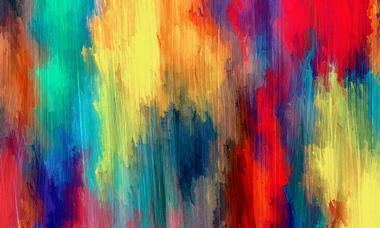 These include the Market Lover, Picoteo Lover, Tapas Lover, Gourmet Lover, Wine Lover, Football Lover, and Sweets Lover. Whether guests want to take a tapas bar crawl through historical bars and hidden bodegas, or indulge in delicious treats along the sweetest alleys in town while exploring the old city, they can find it here.